“You know, some people live their entire lives within the four walls of a home….. 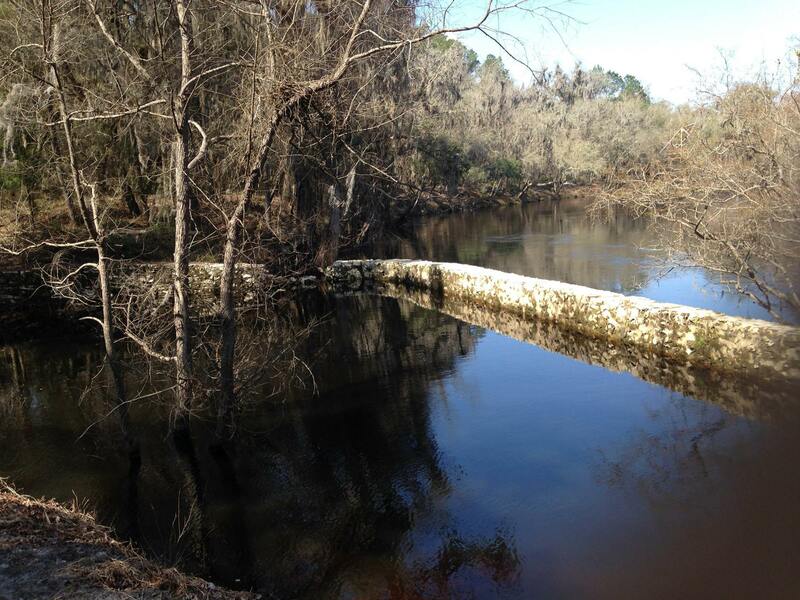 The Suwannee River begins it’s journey as marsh-water within the Okefenokee Swamp of Georgia. Then as a creek the tea-colored (tannic) water creeps across two states continuing to grow as numerous high-magnitude springs increase it’s flow into a respectable river. 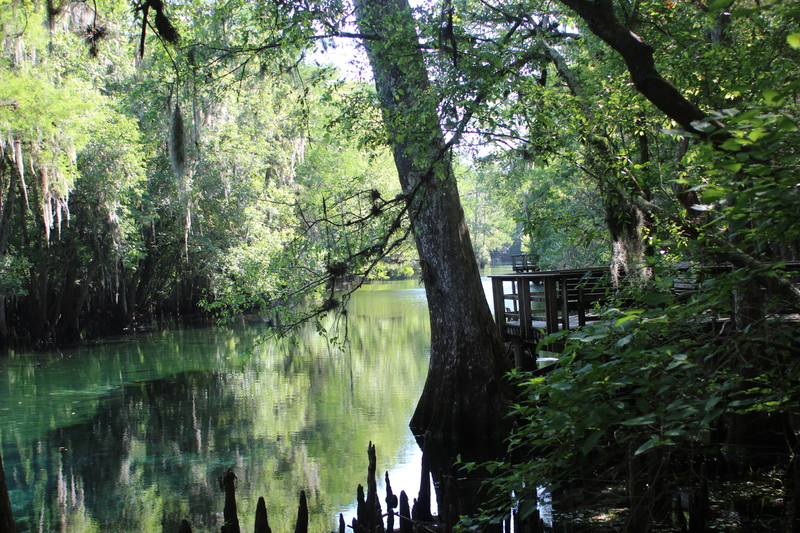 The distance from the swamps of Georgia to the Gulf of Mexico at the small town of Suwannee, Fl is about 240 miles. 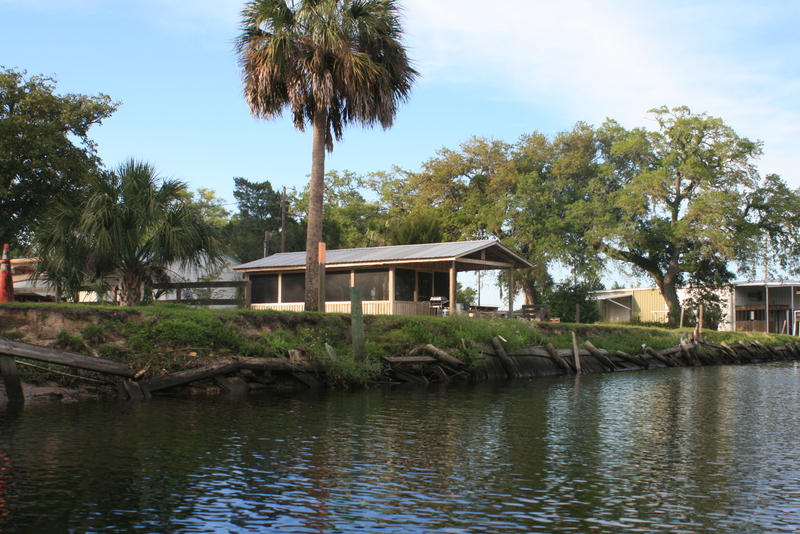 It’s all paddl’able, and whether paddling sections of the river or the distance, you’ll find the effort supported by local businesses and the State of Florida alike – its good air. 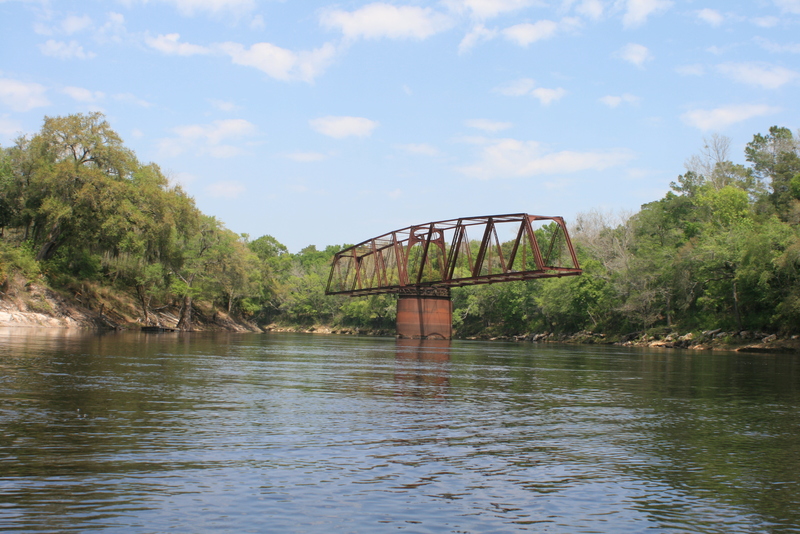 Big Shoals above hwy 41 (White Springs) is Florida’s only natural class-III rapid and a @1000′ portage for flat-water paddlers. 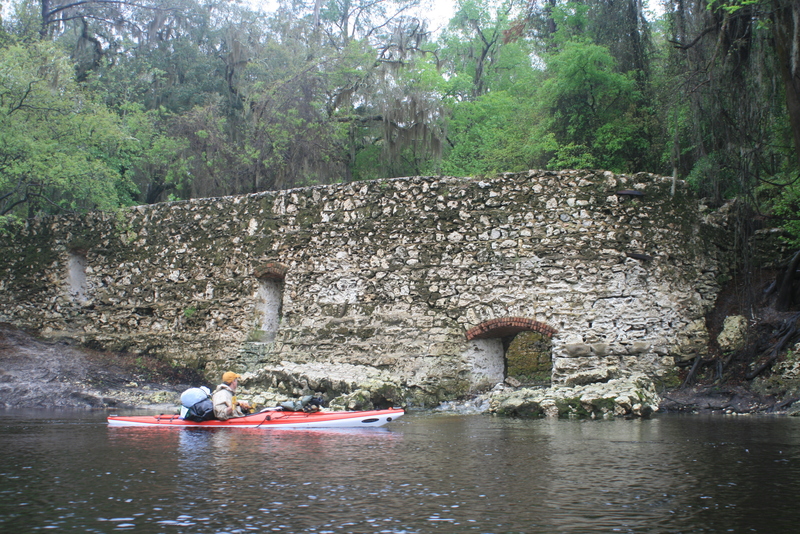 For those that seek the distance; the most practical starting point in Georgia is at Fargo (Hwy 441, this leaves a 9 or 10-day paddle 225-miles to the Gulf –BUT – there are multiple shorter options; for a ‘feel’ of the Suwannee, the Holton Creek area is an ez two day one night acclimation for a future paddle (put-in at Spirit of Suwannee Music Park (Canoe Outpost) – paddle upstream for a couple miles to Suwanee springs – then paddle back for a night at Holton Creek river camp. 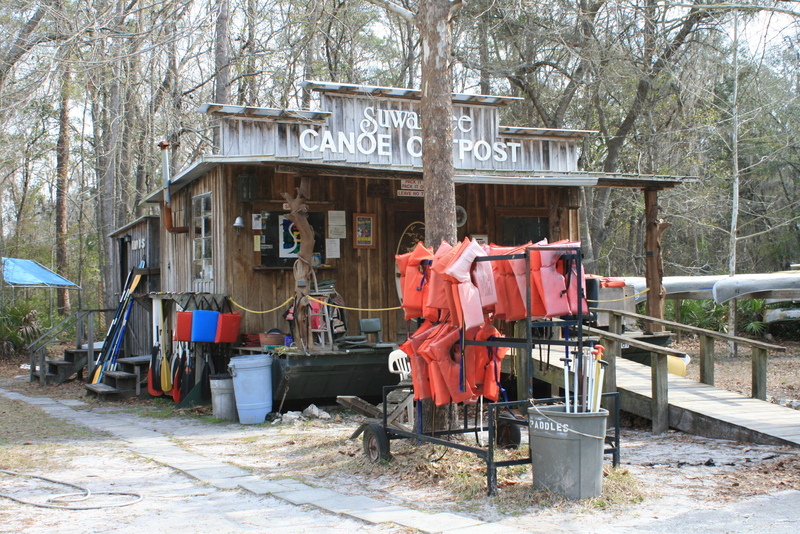 Next day; paddle and take-out at the Suwannee River State Park). 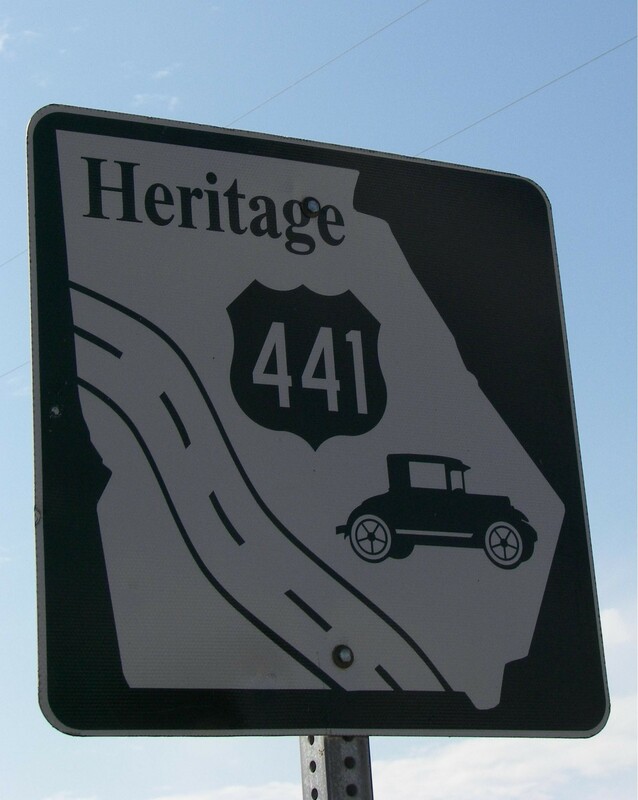 Further access points North and added days could begin at the Suwannee Sill, Fargo, Cone Bridge, Hwy-6 (above Big Shoals), or the hwy-41 bridge (below Big Shoals) in White Springs, Fl. 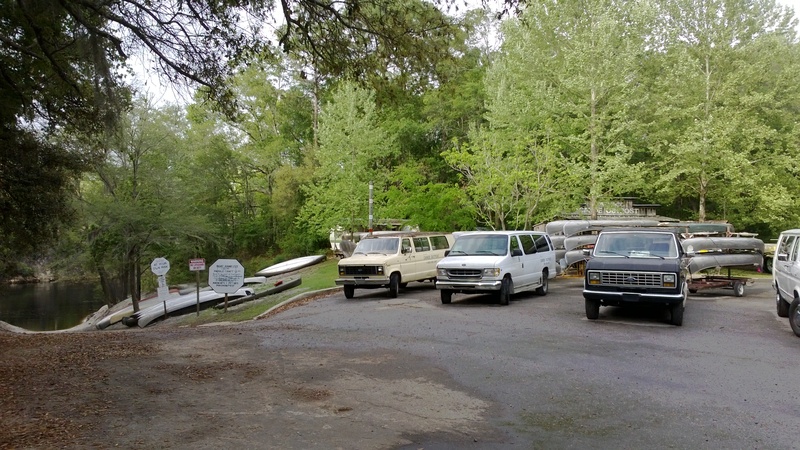 Those points could add up to three nights on the river (one at Woods Ferry r/c) ending at the Canoe OutpostCanoe Outpost (Live Oak)…..(good place to get out, or restock from your vehicle and move on towards to the gulf). 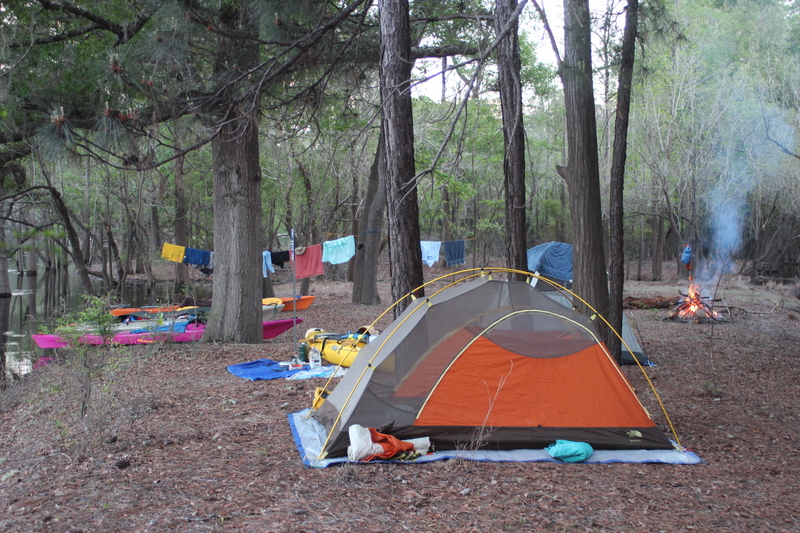 CAMPING; Plan and pack for primitive camping. 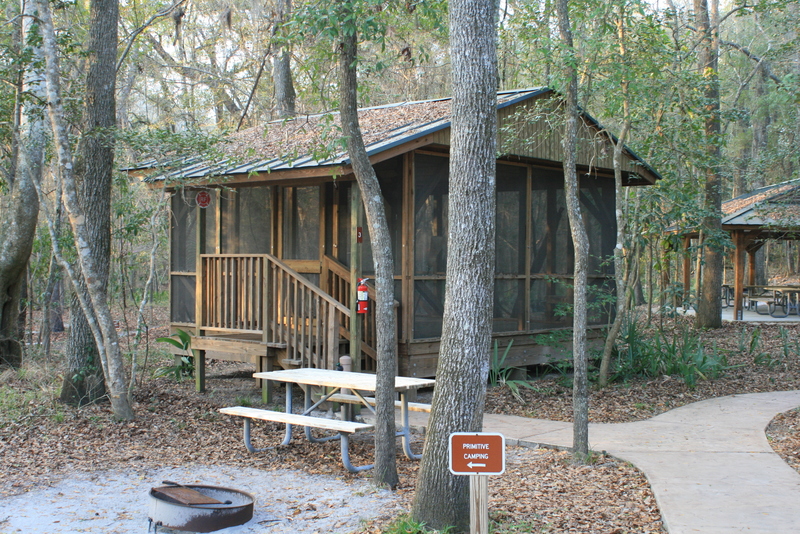 From Fargo to the Gulf; nights 1,2,7,8, and nine are primitive, other nights are much better with elevated screened rooms and hot showers provided by The Suwannee Wilderness Trail river camps. 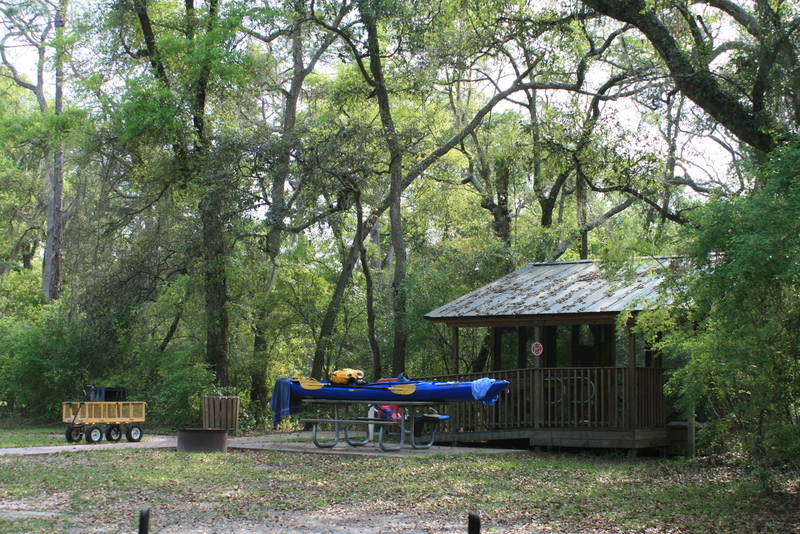 These camps are free of charge for paddlers or hikers only (you just have to call ahead). 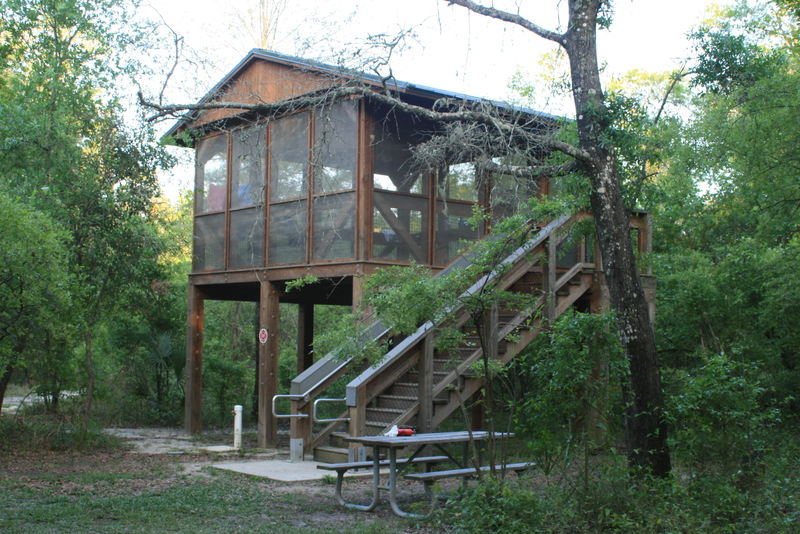 If by chance the elevated platforms are full, primitive spaces remain available at the river camps – with use of hot showers. 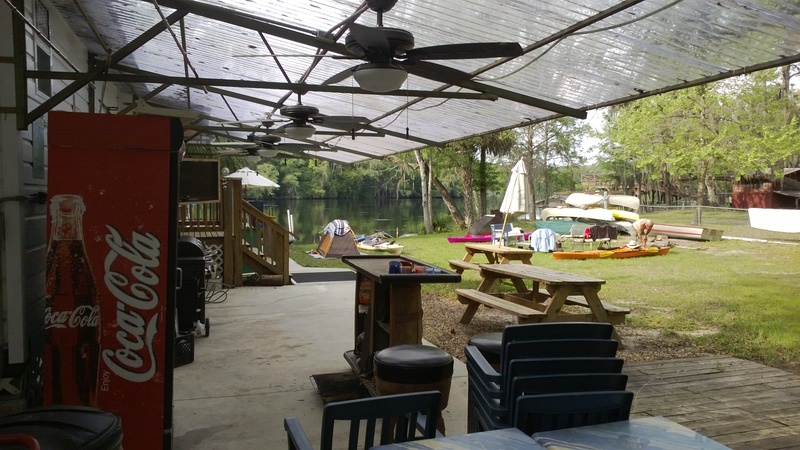 mm 65.5 – ONE mile up the Sante Fe river – awesome bar/campground/rv park – Ellie Rays ,could easily work as a ‘take-out’ point. WATER; In the kayak we maintained a gallon of fresh water (you can refill at any river camp; also at the granite steps below White Springs) – a canoe could of course be outfitted with an ice chest (and beverages) if that was your plan. 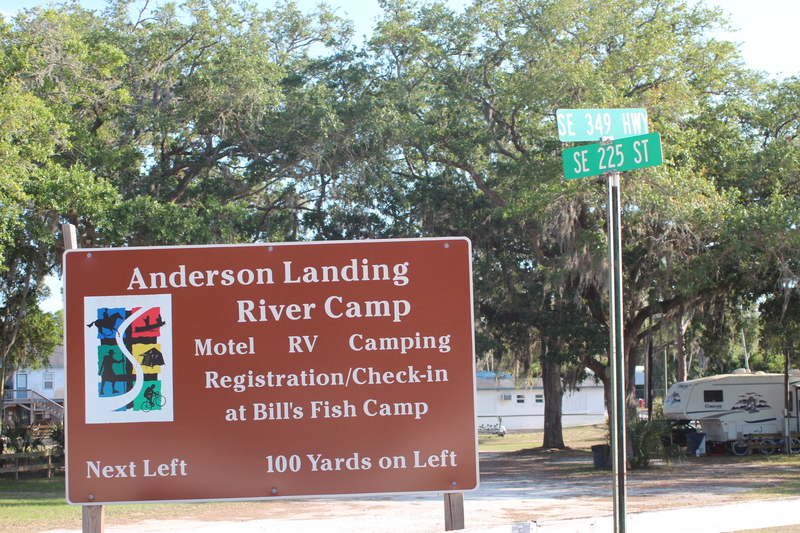 Trash cans are available at the river-camps. 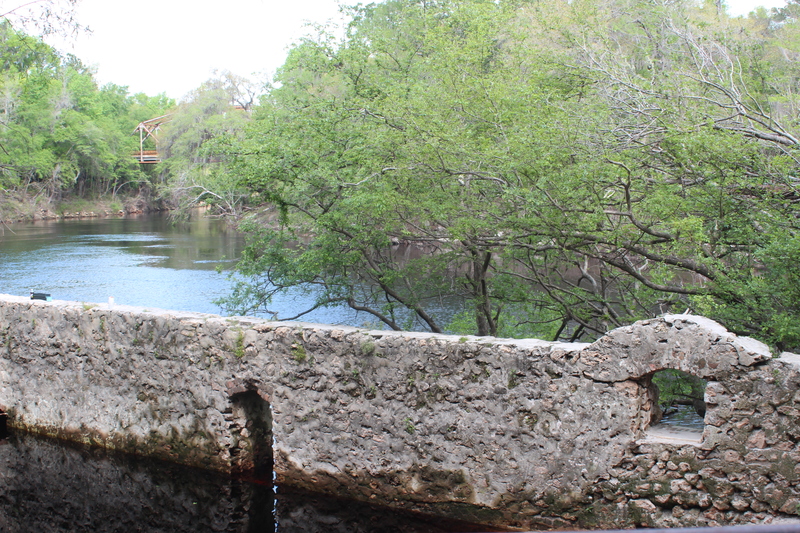 The paddle is a great opportunity to observe the changes where this simple flow of water has carved a niche through the Florida landscape – along the way you’ll find the shorelines of eon’s past plus those of recent articulation. 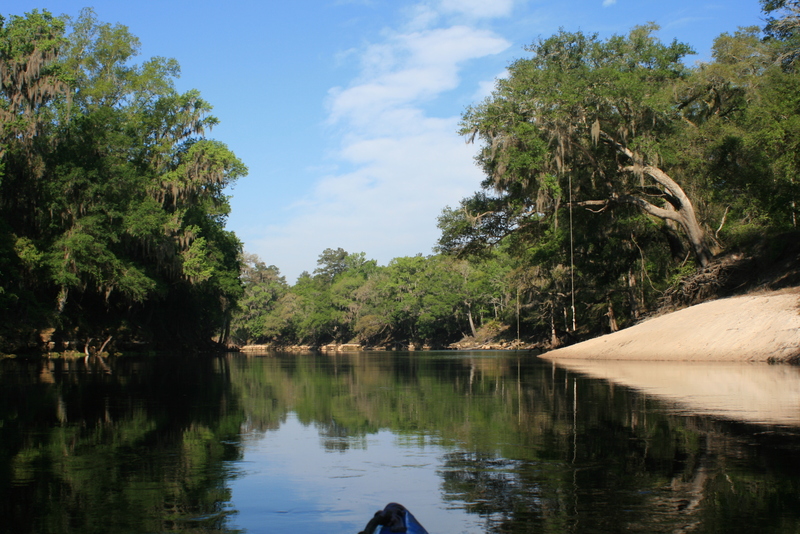 Most of all paddling the Suwannee is about doing yourself a favor and simply ‘unplugging‘ from the ‘rat-race’ of society. 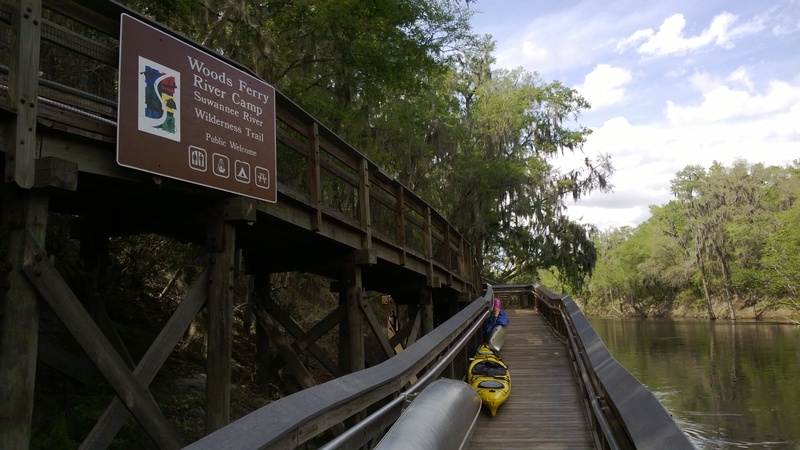 A dedicated Suwannee river paddle is a great place to begin ‘this cleansing’ – try it with your phone ‘Off!‘ or at minimum ‘airplane-mode’ while paddling (ps; electronics can be ‘charged-up’ at the river camps). 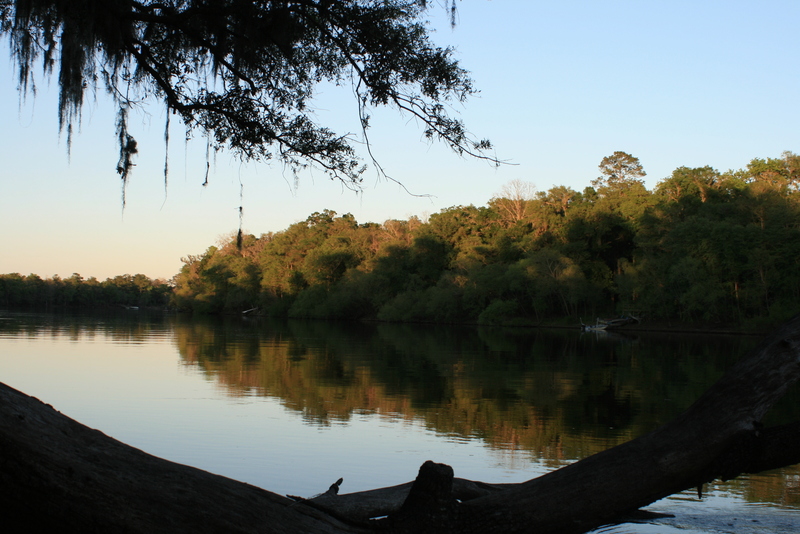 Oh yeah, be on the water before 8:30 – mornings are simply ‘the best’ of paddle time – and sure, the complete Suwannee can be paddled faster than 10-days; but the best advice is to take your time, savor the experience while you are there. 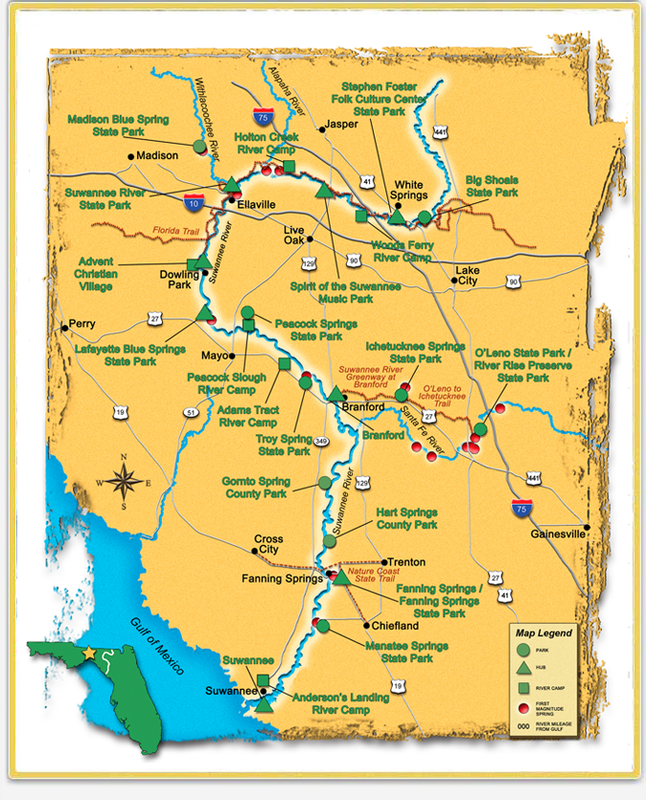 Upper River Map – PDF – – – Lower River Map – PDF. 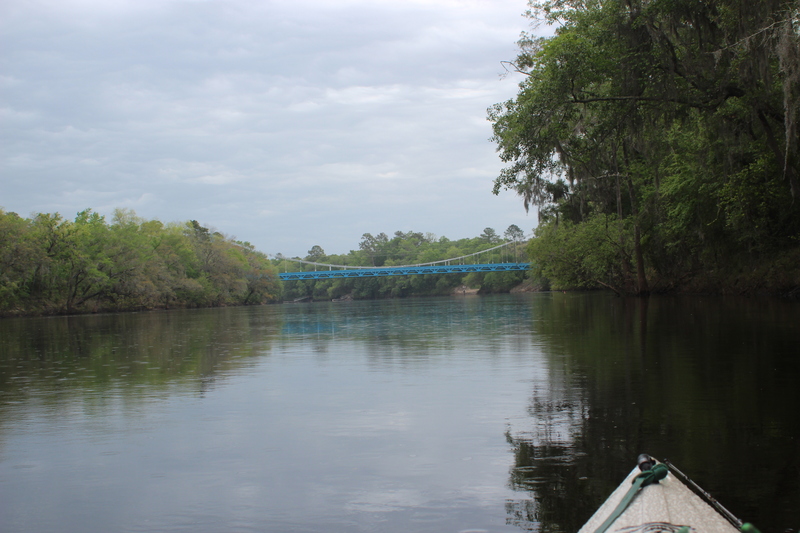 Note; the Suwannee river’s mile references are correct – yet there are no physical markers (signs) along the river to help with ‘exact’ orientation. Markers on any river are not absolutely necessary but after a career of emergency service – having a ‘mark’ here-and-there seems prudent. Maybe a little spoiled from 1800 miles of the Mississippi where such ‘benchmarks’ provided a measure of entertainment on long days. 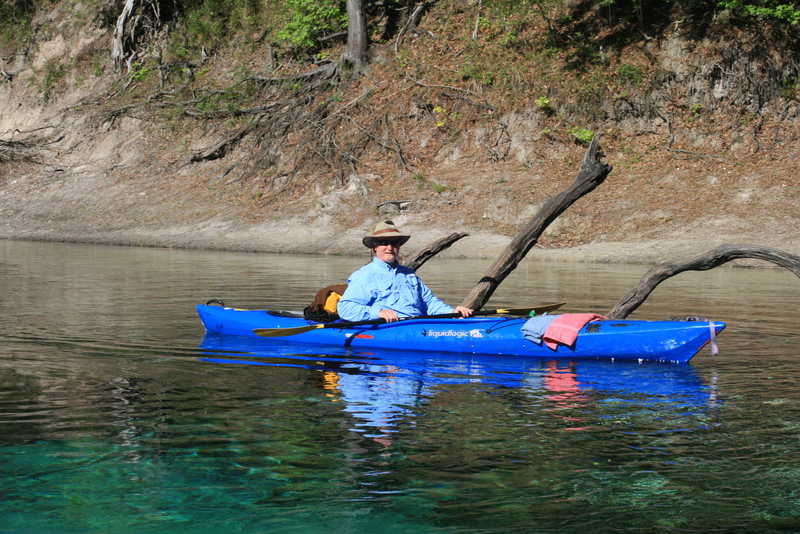 The Current river is another exceptional river to paddle (with crystal clear water) which would benefit with certain informational benchmark’s along the way (my 2-cents). 221.0 Hwy 41 at Fargo, Ga from here it’s a nine day paddle to the Gulf. CHECK this WATER DEPTH gauge (link here) refer to the WHITE SPRINGS reading! 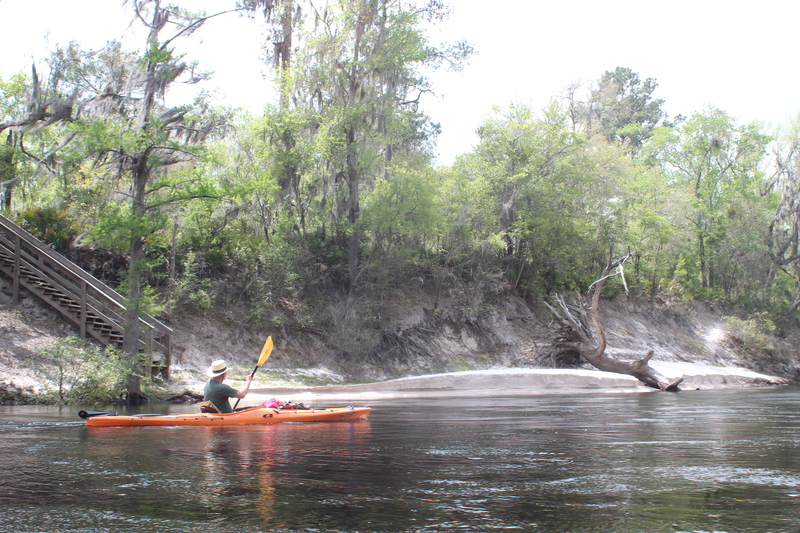 I’ve been asked about paddling the Suwannee when the reading at White Springs is over the 60′ level; having done it – it’s a more fluid ride with fewer noticeable shoals; you’ll get there easier/faster, but miss alot of the rivers true shoreline character. 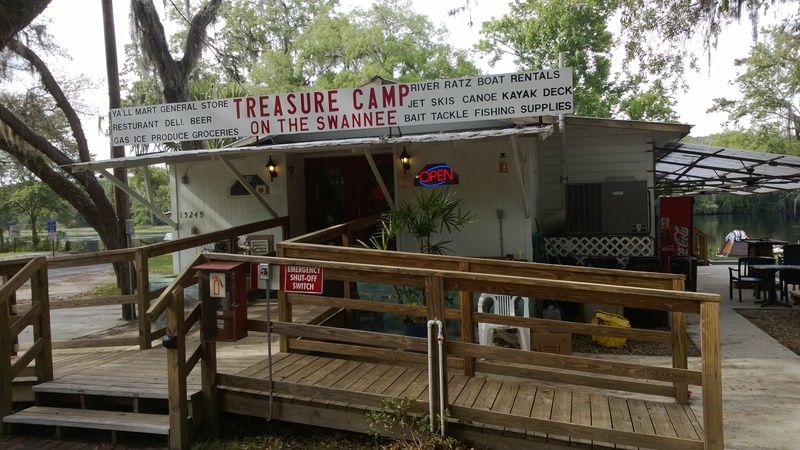 Above 60′ camping will be less available as the river/camps sometimes close with high waters – Public springs on the lower part close (tannic water/gators creep in), and it won’t be as good a time to play along the way. No matter when/if you do it, the river will always be interesting in-your-own-way. Our ‘high-water’ paddle at 60’+ was just fine – still, have a ‘plan-b’ in the worst of combined conditions (active weather + depth). 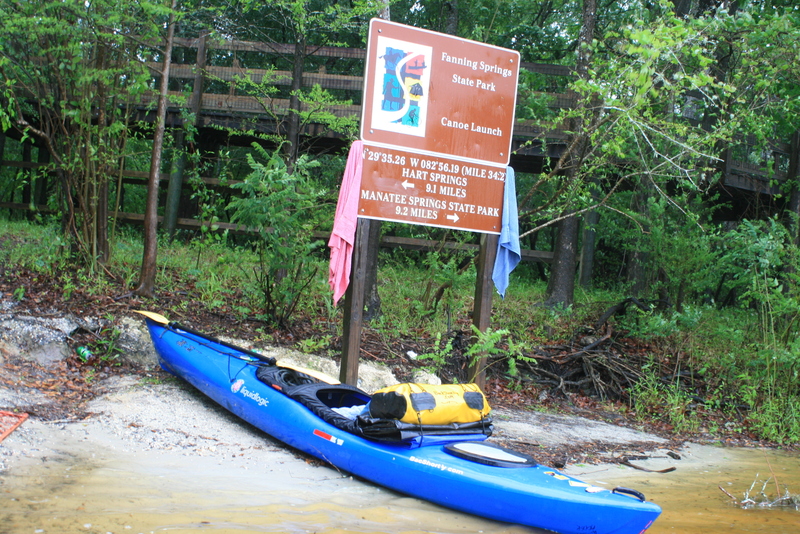 As stated; the areas outfitters discourage paddling when over the 66′ reading at White Springs. 186.5 – Cone Bridge ramp – Camping spot, but it can also be a zoo on the weekends; ‘locals,’ litter. Hubs are towns or parks ‘ A wide range of goods and services are provided to meet visitors’ needs. Visitors can enjoy special events, shopping and other activities. “Hubs” a town or park – A variety of goods and services are provided to meet visitors’ needs. Visitors can enjoy special events, shopping and other activities. 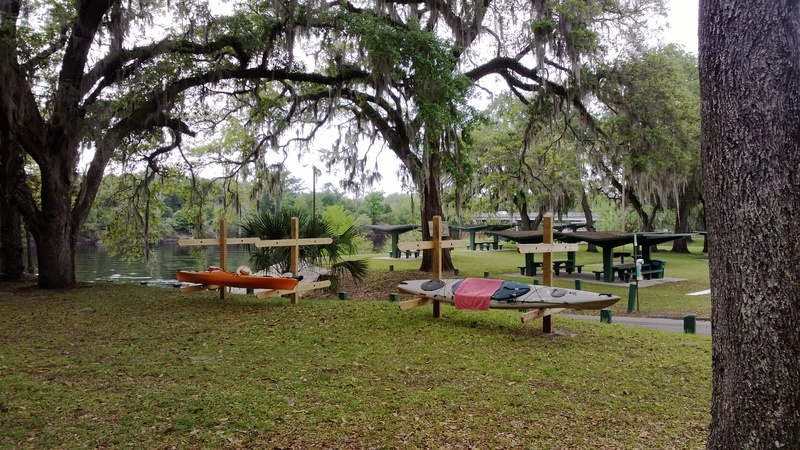 Day-3 from Live Oak (Wednesday), 29-mile paddle/day with stay at Adams Tract (85.5), or option of easier 19-mile Paddle day staying at Peacock Slough (95.8).- neat Springs along the way, laid back paddle rate – crystal clear springs, nice area. 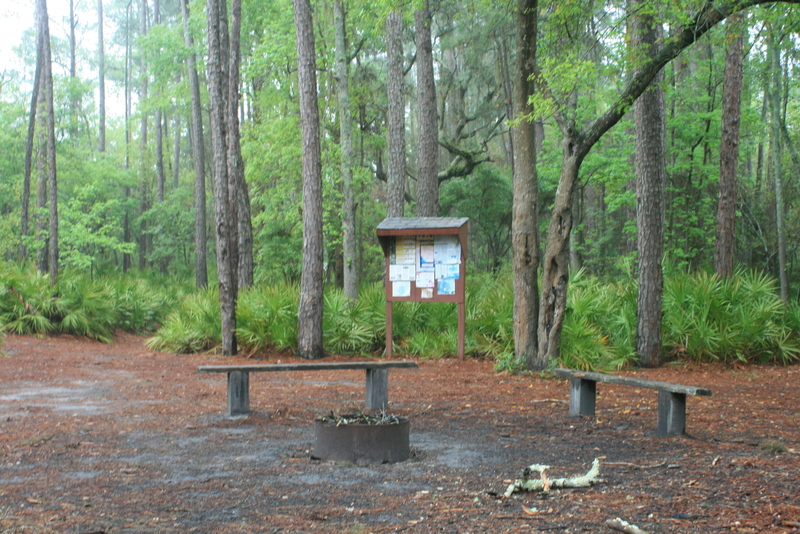 Note; Live Oak to the Gulf trip with ‘green’ canoeists limited mileage to twenty a day – kayaks alone may average 25 to thirty miles a day – but hey, sometimes its good to slow down and appreciate the setting…..
“When [you are to make] a speech…don’t jot down notes to speak from, jot down pictures. It is awkward and embarrassing to have to keep referring to notes; and besides it breaks up your speech and makes it ragged and noncoherent; but you can tear up your pictures as soon as you have made them–they will stay fresh and strong in your memory in the order and sequence in which you scratched them down. And many will admire to see what a good memory you are furnished with, when perhaps your memory is not any better than mine”. Mark Twain @1917. Unsure why I included this quote – but paddin has some refectivity in it. If you’re doing it as I have; it’s nice to make a return trip now and then. The pictures that I make along the way are my main notes, it’s easy, and comes with the added dimension of feeling ‘presence’ within that moment. 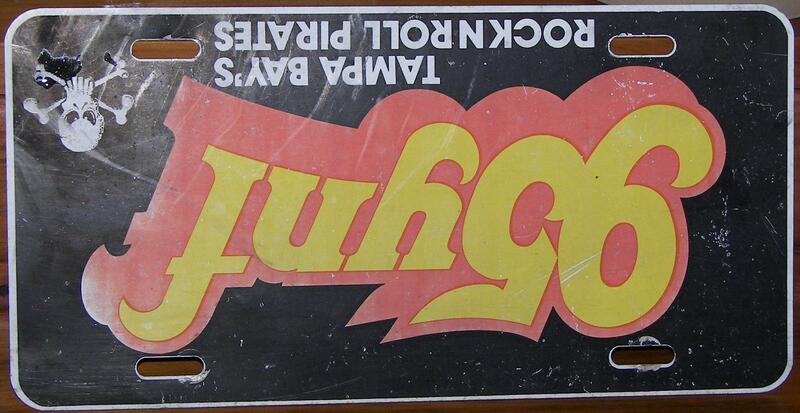 How many hours did it take you from Fowlers Bluff to Suwanne? It was @ 18 miles David, a good three to four hours – wind and tide could affect – give yourself plenty of time, few if any places to camp on that stretch. Hey great reading, Fargo to Suwannee in near future. Thanks Michael, have a good one….